There are many series of the aluminum strip, the different series has the different characters in the past article, we have talk about many series before, and today, we are going to introduce you the 5086 aluminum strip. The 5086 aluminum strip is made of the alloy 5086, comparing with other series aluminum strip, the 5086 aluminum strip has high strength capacity than 5052 and 5083 aluminum strip , but it is not strengthened by heat treatment, instead becoming stronger due to strain hardening or cold mechanical. 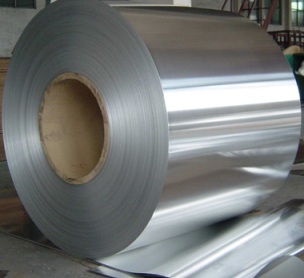 The 5086 aluminum strip has high strength capacity than 5052 and 5083 aluminum strip, but it is not strengthened by heat treatment, instead becoming stronger due to strain hardening or cold mechanical working of the material.3.0%-4.5% of magnesium is added to 5086 aluminum strip , which enable it to have high strength. Heat treatment does not strongly affect the strength, so 5086 aluminum strip can be readily welded and retain most of its mechanical strength. 5086 aluminum strip mainly has four tempers that are vastly used, including 5086-H, 5086-H32, 5086-H112 as well as 5086-H116. 5086 aluminum strip also has good forming characteristic for either hot or cold working. But hardening is accomplished by means of cold working only. Besides, 5083 aluminum strip does have good strength but non-heat treatable. 5083 aluminum strip has vast applications for its properties above. It is commonly used in the manufacture of marine, auto aircraft cryogenics, storage tank, railway cars, coachwork, armor plate, building construction, pressure vessels, etc. Haomei has been manufacturing the aluminum sheet for more than 30 years, and the products has been exported to the counties all over the world, if you have any demand for the product, please contact us, and we will give you the best recommend!